Written with great passion, this book is a unique insight into the way an artist works and the way in which life feeds art. Few artists in Australia are held in such affectionate esteem as Mirka Mora. Even fewer have had such an amazing life. Narrowly avoiding Auschwitz during the Second World War, she and her husband Georges settled in Melbourne, where their landmark cafe-restaurants became a magnet for artists, writers and intellectuals – a slice of Paris's Left Bank in an otherwise staid and provincial city. Both were also pivotal in the establishment of the acclaimed Museum of Modern Art at Heide. No conventional autobiography, Wicked but Virtuous is a delightfully eccentric account of a life lived to the utmost. 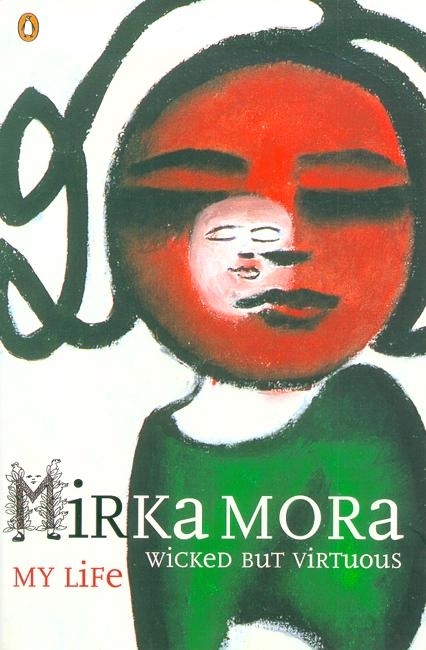 It celebrates the highs and lows of Mirka's bohemian existence, her work, lovers, family, and the rich array of characters who were drawn into her world by her wisdom, generosity and outrageousness. Love Wicked But Virtuous? Subscribe to Read More to find out about similar books.